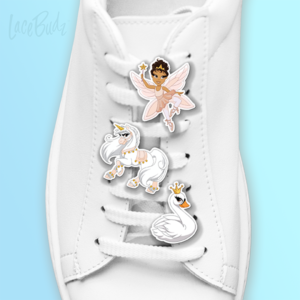 3-pack of LaceBudz clips including Ella the Unicorn, Camille the Fairy Ballerina, and Sophie the Swan. Clips are approximately 1″ long. 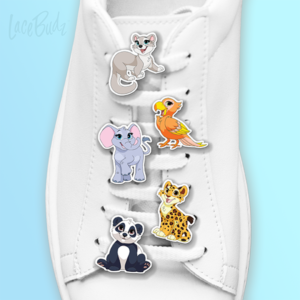 5-pack of LaceBudz clips including Aaliyah the Elephant, Gabby the Parrot, Lee the Panda, Ava the Otter, and Nelson the Leopard. Clips are approximately 1″ long. 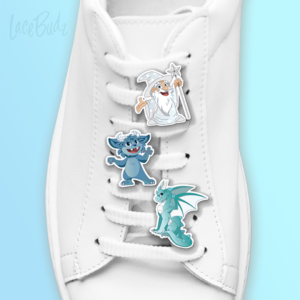 3-pack of LaceBudz clips including Dougie the Dragon, Winston the Wizard, and Mo the Monster. Clips are approximately 1″ long. 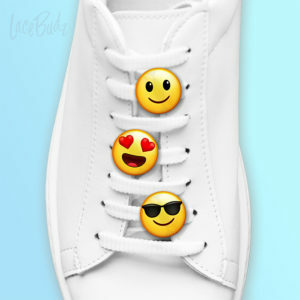 3-pack of LaceBudz clips with smiley face, heart eyes, and sunglasses emojis. Clips are approximately 1″ long. 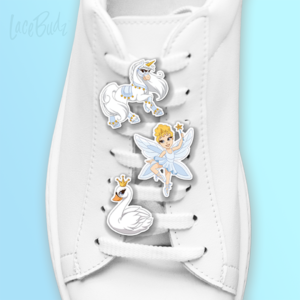 3-pack of LaceBudz clips including Aria the Unicorn, Valerie the Fairy Ballerina, and Giselle the Swan. Clips are approximately 1″ long. 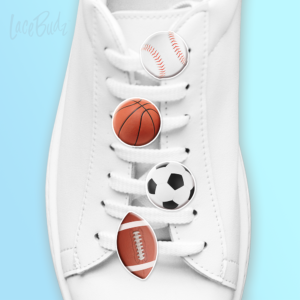 4-pack of LaceBudz clips including a basketball, soccer ball, baseball, and American football. Clips are approximately 1″ long. 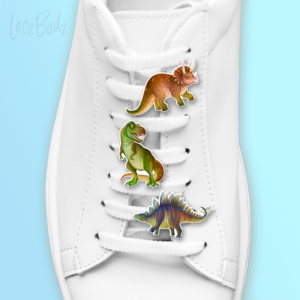 3-pack of LaceBudz clips with dinosaurs: t-rex, stegosaurus, and triceratops Tyrannosaurus rex. Clips are approximately 1″ long. 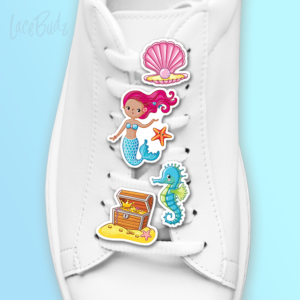 4-pack of LaceBudz clips including a mermaid, seahorse, seashell, and treasure chest. Clips are approximately 1″ long. 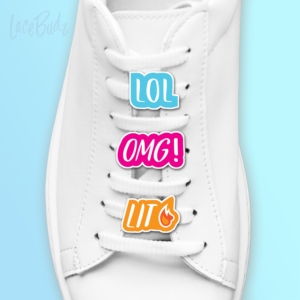 3-pack of LaceBudz clips with the words OMG, LOL, and Lit. Clips are approximately 1″ long. 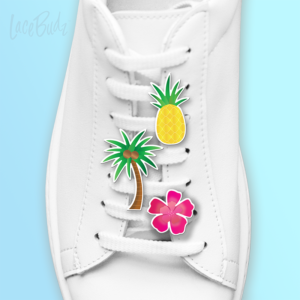 3-pack of LaceBudz clips with a pineapple, palm tree, and tropical flower. Clips are approximately 1″ long.